League Of Legends is the most popular MOBA game out there and with tournaments running all year long, learning how to make a profit betting them is a useful skill for sure. Some consider video games a hobby, a temporary escape from reality, while others have learned to treat it as a profession. However, both can offer an unlimited ways of entertainment. As of recently, betting has become one legit way of having fun with online games. 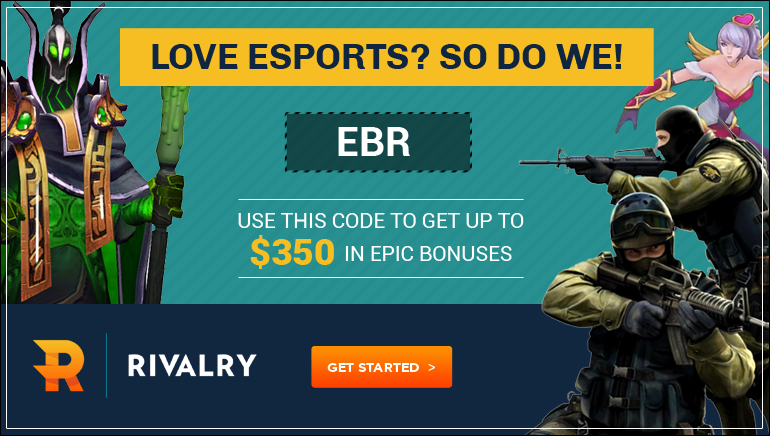 One of the best examples are eSports, and League of Legends as a part of that betting offer. League of Legends (LoL) by Riot Games is one of the first multiplayer online online arena games (MOBAs). It was developed and published for Microsoft Windows and OS X on October 27, 2009. The following year, in 2010 it won Best Online Game of the Year award and its popularity have not decreased ever since. Today, quantity of players counts more than 67 million and it is an ever-growing community. Forbes called this game the most popular in North America and Europe consider to numbers of played hours. League of Legends is a competitive online game that includes real-time strategy and role playing elements, where two teams of powerful characters, which players call “champions”, each unique in design and style of playing, battle head-to-head in various battlefields and game modes. League of Legends uses the common five vs. five, two team, three-lane approach of your everyday MOBA. This map is called Summoner's Rift, and it is a brightly and colorfully designed map, where players create different play styles, with each team's base placed in the opposite corners of the map. Between the lanes is the jungle which contains creatures you can kill for even more buffs and gold. It is important to get these buffs for yourself and prevent the other team from getting them. There are minions that travel from each team's base to attack the other team's defenses. Killing these minions give you experience and gold needed to make your character more powerful. Every team has three turrets per lane that are trying to destroy opposing minions and each other´s Champions. Each team´s base includes so called Inhibitors the structures that block your valuable Nexus, which cause opposing side to spawn super minions. The game ends when your Nexus is destroyed. Since it has a growing roster of champions, numerous updates and a successful tournament scene, League of Legends is still popular among the players, and to make it even better, it offers endless opportunities for both beginners and professional players. Despite its customization variables and gameplay, it is a surprisingly easy to coordinate, therefore being somewhat simpler than other MOBAs. The League of Legends Championship Series (LCS) is the name for two professional League of Legends eSports leagues run by the developer. Today, twenty teams compete in two separate competitions in North America and Europe. In season 2013-2014 there were 8 teams in Europe as well as 8 teams in North America, and since 2015 there are 10 teams in Europe same as in North America. Each annual season of play has two periods, spring and summer, that last nine weeks of round-robin tournament play. These conclude with play-off tournaments between the top six teams from each region. The highest placing three teams at the end of the season in each league qualify for the annual League of Legends World Championship. League of Legends hosts hundreds of major tournaments throughout the year. The best known event is The World Championship, and it is like Olympics for gamers. The first edition was held in Sweden, the country with the most successful League of Legends players at the time. Since this game generates a lot of money as well as interest, the prizes kept growing. By the following tournament winners won $1 million, while the runners-up were given a quarter of a million. League of Legends tournaments attract players and enthusiasts from all over the world, but even millions more are watching these events on live streams. Lately players from Taiwan and South Korea have dominated the recent events and since 2013, the game is the most popular of all e-sports in these countries. League of Legends betting offers developed quite a bit. Thousands of bets are being made by fans and players from all over the world, and they are extremely popular while tournaments are played. Of course, this is not strange if we know that this game has millions of people supporting the teams and watching the live streaming platforms. Primarily, players need to know how to manage their money well. Instead of placing all money on a single bet and potentially losing everything, players are advised to be smart and maybe even create a full-time betting career. However, remember that there are no safe bets, no matter how tempting advertisements are. How To Get Started With League of Legends Betting? There are many sportsbooks that let betting on League of Legends and other eSports. Therefore, when looking for a sportsbook, you have to mind several things; how big is the welcome bonus, what are available deposit methods and if your country is allowed to bet. First thing when it comes to betting in League of Legends is to establish a bankroll. Ask yourself how much money you are comfortable to lose per week or per month, is it a hobby or more important than that. Keep track of your budget. Once you start betting there are the starting bonuses depending on the sportsbook. When you deposit money you can start to bet on odds. For example, if you bet on the same percentage all the time and keep losing, your will bets be smaller and smaller amounts you will lose. Same way if you are winning. This means, that going bankrupt will be difficult. However, it is crucial to have in mind that you never try to win back lost money by making larger bets. But if you are, ask yourself if you’re willing to lose this amount of money? This strategy, on the other hand, may seem slow, but it will earn you more money in the long run. You will be able to track your progress and see if and how much your bank has grown. Using proper bankroll management and your knowledge of League Of Legends will give you an edge over the bookies that will easily give you a profit if you are able to recognize which teams are playing at the top level in a certain tournament and other similar nuances that a keen observer will spot.